When I was in high school my friend Kara always made a wish whenever she saw 11:11 on the clock. I reminded her of this yesterday and she told me she still does. The reason I was thinking about this yesterday was because I saw today’s writing prompt for NaBloPoMo (National Blog Posting Month), which encouraged participants to blog about three wishes. For me, this was a tough one to write but I wanted to take a stab at it. Limiting all my hopes and dreams to three wishes is a tough one, but I figure if my genie ever shows up I should try to be prepared. Now there are a few days to look at this. Do I go big picture and try to solve hunger and disease? Do I go personal and wish for a winning $200 million powerball ticket? Are three wishes really enough? Oh the possibilities. After thinking about this for a bit, I think I’ve got it. A bit of personal and a big of large scope. My first wish would be to bring all of our troops overseas back home. That includes friends and family I have stationed overseas. There are a number of reasons I wish for this. First, I’d like to get them out of harm’s way. I’d like to get them home to their families and friends. I’d like to get the 450,000 troops we have stationed in 150 different countries back here, spending their paychecks here on goods and services that can put Americans back to work. They will need housing, cars, food, clothing, xbox’s, and lots of other things that make our economy move. This for me is my greatest wish. My second wish would be for all my friends who are currently pregnant or trying to get pregnant. I wish them good health and healthy babies. 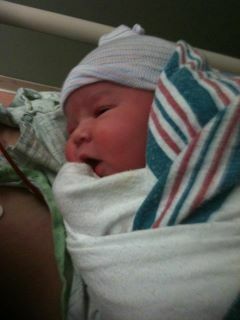 My sister-in-law just had a baby and Lalia is just the cutest thing I have ever seen. I know a lot of women who are pregnant or trying and I can’t wait until all the babies arrive. My third wish is for twelve months of smooth living. Jeff and I have had so many things happen in the last seven years that it would be great for things to go smoothly for just twelve months. Don’t get me wrong, we’ve had some amazing times. But I don’t think we’ve had a twelve month period where we didn’t have a major illness or injury (cancer, bad back, knee injuries, broken fingers, back surgery, the flu), a major financial setback (changing jobs, cancer, problems with the house, major storms) or the death of someone we hold dear. I’m not asking for a fantastic year with financial windfalls and trips to exotic places. I’m just asking for a peaceful year. I’m so glad that you have returned. I can’t tell you how much I missed you. It is quite difficult to do everything that needs to be done on a smart phone. Have you ever tried to review excel files received via email from a tiny screen? Of course not! I promise to not take you for granted, especially when you are running a little slow because your slow speed blows my 3G out of the water. May you never leave me again. Still no internet here. Spent a ton on groceries in the last two days. Tonight things returned a bit to normal as I made lasagna for dinner. Jeff was thrilled. Hoping for internet tomorrow. I’m updating my blog tonight from my cell phone using the WordPress app (which I must say is pretty freakin’ cool) because our internet is out. Today was a pretty crazy day. I spent the morning looking for a chainsaw (I know, silly huh?). Then I called my mother-in-law to see if Jeff’s sister and her family wanted to come stay with us since they also had no power. As soon as I made the call, I started to panic. My house was a disaster and I needed to clean. I didn’t know how we were going to fit four adults and two babies in the house since we don’t have a spare room but that is what families do right? So I started cleaning like a mad woman and doing laundry so we had enough towels. I called Jeff in for help also. Just as he came home, my mother-in-law called to let me know that the power was back on and they would not be coming to stay. While I wasn’t looking forward to all the cleaning, it would have been nice to have everyone in the house. We did some grocery shopping this afternoon since we lost all the food in the fridge and freezer. Thank God for Aldi! I was able to get many of the staples we had lost plus meat for a few meals for 70 dollars. We got home and cleaned everything out of the fridge. I cleaned out the freezer yesterday. Hundreds of dollars of food thrown away. I just about cried as I three away a whole filet purchased earlier in the month along with ten pounds of ribeyes that I had gotten on sale. My fridge looks really bare but I think I will wait to stock up again. For now, we are trying to get back to normal. There are still a lot of people out of power, so we are better off than most. To all those still without power, find a warm place to be tonight. I pray you get your power back soon. We knew the storm was coming. We heard it all over the news and the internet. We got updates on our phone. 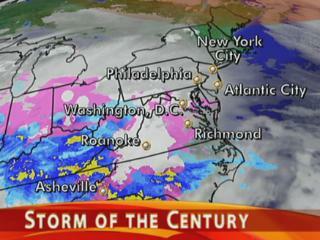 The meteorologists told us that this storm was going to be insane. We ignored them. I have prepared for all the storms that have been hyped. We’ve purchased flashlights and batteries, ice, coolers, water, canned goods and all the stuff you are supposed to have on hand when a storm comes. Jeff and I have been prepared for storm after storm only to have nothing happen. How many times can you hear the world cry wolf before you stop listening? This time, my husband and I went about our lives. You know if you’ve been reading the blog that we have been really busy the last few weeks. We heard that the storm was coming but I think we both figured that it would be nothing, just as all the other storms had been. Well, we got slammed. Now I’m not sure how much we could have done to prepare. We have a gas stove so I can still cook at home. I suppose we could have gotten firewood. I suppose we could have gotten the cap on the chimney fixed so we didn’t have a draft. Right now, we have the fireplace covered with plastic so the draft doesn’t come into the house. We could have planned better and had some of the trees in our backyard cut down but we didn’t really have the money for that. We could have purchased a generator but I didn’t think the benefit was worth the cost for how often our power goes out. I think in the seven years we’ve lived in our house, we’ve lost our power for a total of seven days and we are on four days in this outage. I guess we were probably more prepared than most people. You just get this helpless feeling when you can’t do anything about the situation. Yes, we are warm at mom’s but I miss my house and I miss the cats. I’m even starting to miss work. How scary is that? So we keep plugging along. We have access to all the comforts of home, it’s just not our home. Hopefully, the estimates will be wrong and we’ll be home sooner than the power company thinks. For those without power, keep plugging along. We are praying for you. I think I’m going to stop signing up for things. In October, I agreed to do the SNAP challenge. Our schedule got all sorts of insane which made it pretty much impossible to finish the challenge. For November, I signed up for NaBloPoMo (National Blog Posting Month). On Saturday, we had a storm of the century kinda thing blow through Connecticut. Our power went out Saturday night and we have yet to see it back. The last update from my town stated that we hope to get power back in a week. Oh happy day! Saturday night we stayed home. It was cold but the storm was pretty nasty. Usually when we lose power it goes right back on. Sunday morning, we still didn’t have power. The trees were covered with snow so it was hard to see what was really going on. Jeff decided to go outside to clear the driveway. I was still in bed when I started to hear yelling downstairs. I ran downstairs to see my husband clutching his hand. He had gotten his fingers stuck in the garage door. I threw on some clothes and off we went to the ER. A few hours later, we left with a fractured finger. It could have been worse. When we were leaving, people starting coming in with snow blower and chainsaw injuries. After the ER we went upstairs to visit our new niece, Laila. She was born on Friday. Isn’t she cute? After going to see Laila and family, we decided to try to get food, gas and fill Jeff’s prescriptions. An hour and a half to get gas, another hour and a half to get “fast food” and an hour to get the prescriptions. We finally got home around 4:30 in the afternoon to find our backyard in interesting condition. Those used to be trees, now they are just sticks on the ground. 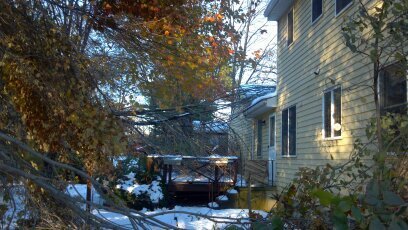 There is half a tree on our roof. It doesn’t look like there is any damage but we are going to have someone take a look. The cats are fine but all the fish are dead. We just couldn’t keep the water warm enough. Sunday night, we decided to see if we could get a hotel room. Most people thought we were crazy but we decided to try priceline.com. I downloaded the app to my phone and bid away. We got a 3-star room in Norwich for $79. When we got to the resort, we were told we had a three room villa. If I had known it was going to be that nice, I would have gotten it for a few more days. We enjoyed our evening away from the cold house, but we missed the cats. Last night we decided to stay home. The fridge was still cold so I made breakfast sandwiches using my griddle pan on the gas stove. I love having a gas stove because I can still use it if we have no power. I also made hot chocolate. We had a nice little camp out in the living room. It wasn’t ideal and we both started to suffer from internet withdrawal but we made it through. The cats were very happy that we were home and they slept with us all night. This morning, I got a call from my mom telling me that her power was on. Jeff and I went up for a shower and we walked around the mall a bit since there was also power there. 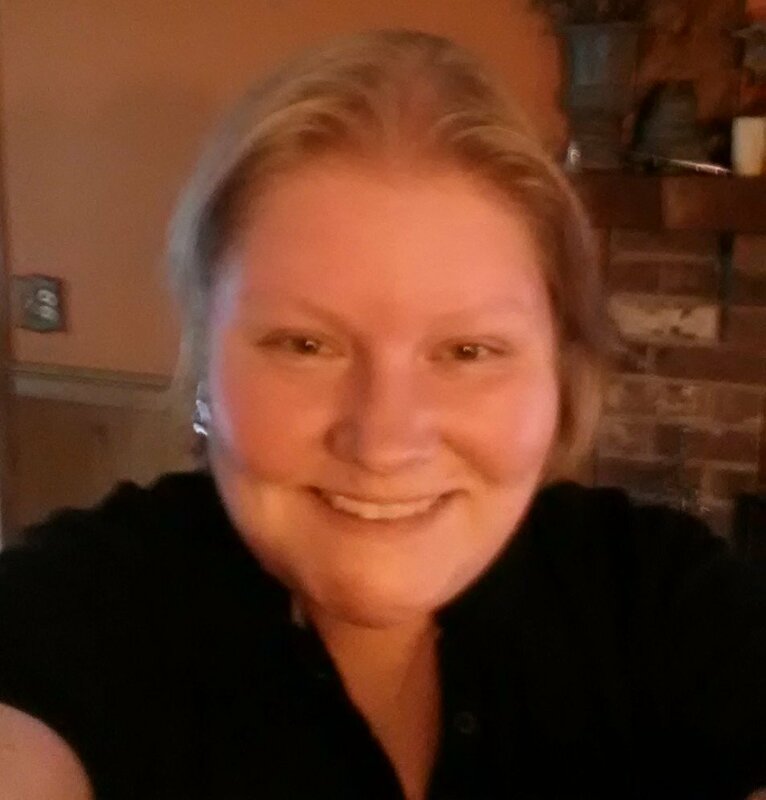 Now I sit here blogging at my mom’s house so I make sure to get my November 1 post up. Looks like Jeff has work tomorrow. I’ll be hunting around looking for internet so I can blog again tomorrow. Stay safe and warm everyone! Hopefully power will be restored tomorrow. When I originally decided to do the SNAP Challenge in October, I really had no idea what I was thinking. I’m in the middle of an election for Board of Education. I am filling a vacancy on the Board and we are in the middle of a superintendent search (which requires a lot of meetings). We’ve had debates, birthdays, campaign events, meetings, volunteering, a visit from the in-laws, and the birth of a niece so far this month. Did I mention we are supposed to get up to a foot of snow tomorrow? Oh yeah, that too. Did I mention I quit smoking five days ago? Oops! Almost forgot that one too. We have not been the most frugal people when it’s come to eating this month. We tried to do the best we could but 16 hour days are not conducive to home-cooked dinners every night. I have received a lot of free food this month via various events and meetings I have attended. I have not done very much grocery shopping since the first two weeks of the month. I’m also pleased to report that I’ve been using up stuff around the house when I am cooking so we haven’t had food waste. Jeff has been a real trooper, eating at home when I have other obligations. While his meal plan is a bit thin (hamburgers, hot dogs, peanut butter and jelly), he has saved us a lot of money making those things at home rather than eating out or ordering food. The SNAP challenge did help me with a few things. I have gotten very good at bringing my lunch to school. Since I have very little time for lunch, I need to eat something quickly. Bringing my lunch allows me to get a decent lunch in a short amount of time. It also saves us a lot of time. Even with the crazy schedule, I’ve made sure to make something, like a pasta dish or casserole, that will give us leftovers for the week. I only need two lunches a week for school so a good sized casserole will get us through the week. The other thing I learned was how to plan better. We have had much less food waste since we started (and failed) the SNAP challenge. Because I was trying to feed us on as little as possible while creating balanced meals, I really planned out exactly how much I would have leftover for lunches. I was much more conscious of how many lunches I had and made smaller meals when I knew I didn’t need more leftovers. Looking at our food budget, we actually did pretty well. When we did eat out, we tried to spend less than $25 total. If I didn’t grocery shop and we ate out twice a week, we pretty much broke even. We finished up a lot of things we had in the house and have been trying to eat out of the freezer. It’s been a bit packed lately so I’m trying to clean out as much as I can this winter. As we prepare for the storm (we really are supposed to get 6-12 inches of snow in the next 36 hours), I’m starting to plan for November. It doesn’t look much better than October. At least the election will be over. I already have very few nights at home planned so I might be making large pots of stew and other hearty meals that reheat well to get us through. I do have to say that even with all the craziness, I love my life. It’s insanely busy, but I like it that way. I’d much rather have my life filled with volunteer and civic obligations and my teaching gig than when I worked 40-50 hours a week as a pencil pusher. I am probably busier now than I was then, but I feel like I’m making a difference and I wouldn’t give that up for anything. When I was growing up, I remember my mother telling me about where she was when President Kennedy was shot. She told me she would never forget where she was, what she was doing and how she felt that day. It was hard for me to imagine something horrible that it shook the entire nation and you would never forget that day. On September 11, 2001, I was at Westfield State College in Westfield, Massachusetts. I had just accepted a job offer the day before as I was graduating in December. I arrived early that morning to tutor a student and as I walked into the tutoring center at 8:50, people were talking about a plane that hit the World Trade Center. It seemed very odd to me, but everyone thought it was an accident. Maybe a small plane. I had ten minutes until my appointment so I went down stairs to the commuter lounge to see what was going on. The televisions were set to the news and a crowd of students were starting to assemble. At 9:03, we were watching live coverage when the second plane hit. People screamed; some started to cry. I ran back upstairs to cancel my tutoring appointment. I remember the student yelling at me. I told her I was in no condition to tutor anyone that day. I went back downstairs to call my husband and my mother. It was one of those events that makes you want to call your loved ones to tell them you love them. I remember standing with a friend of mine watching as the first tower collapsed. A few minutes later, a couple students walked by celebrating that classes had been cancelled. My friend turned to them and yelled, “Do you have any idea what is going on?”. They just shrugged and walked away. When they cancelled classes, we didn’t know what to do. Westfield is a commuter school. We knew the Pentagon had also been hit and we had learned that another plane had just gone down in Pennsylvania. We didn’t know if it was safe to drive home because we didn’t know if there were more planes in the sky. We didn’t know if this was just phase one. I decided to drive down to my In-Law’s house since I didn’t want to go back to our apartment. My sisters-in-law would be there as well as my mother-in-law and my husband was planning to go there if he could get out of work. On my way to Windsor, I saw planes coming down one after another. I had never seen anything like that before. It turned out that a lot of the flights from New York and Boston were being diverted to Bradley. I didn’t know that until after I called my husband again. I was scared on the highway but he reassured me. We were all numb. Everyone I spoke with and saw that day. We watched planes crash and buildings fall. We watched people jump from the buildings and people running through the streets. We also saw heroes run into those buildings to help others. We saw people who helped others get out of the buildings. We saw passengers takeover a plane and save countless lives with a call “Let’s Roll”. We saw a Country come together at memorials and funerals. We saw neighbors reconnect and communities become stronger. Out of the rubble, hope rose. After ten years, I still remember where I was that day. I think I will always remember, but I hope that I will also remember how we all were after 9/11. I hope I will always remember how we came together, were nicer to each other and showed compassion to each other. I hope that we remember that lesson from September 11, 2001 and that we never forget how we were that day. The artwork above was designed by my friend, Aaron Wood. 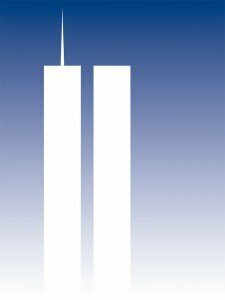 He designed this poster to commemorate the tenth anniversary of 9/11 and will be donating all of the profits to the 9/11 Memorial Museum. If you are interested in purchasing this poster, it is available at his etsy shop. Well, we made it through the storm with no major problems. Our lights flickered a few times and we lost our cable, internet and phone. 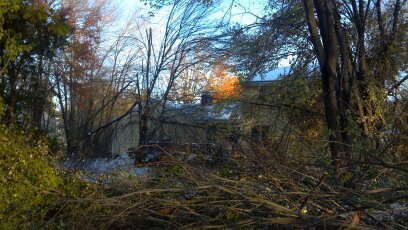 There were a few branches down in the yard, but nothing major and no water in the basement. I know a lot of people who have tons of water or lost power (and many still don’t have it back yet). We were very lucky. We got our services back this morning, plus I had some access at school. It’s amazing how much I missed having internet. No blogging and no Netflix. I can’t complain though. Many people had it much, much worse. It’s all about keeping things in perspective. Things are getting back to normal around here so updates should be getting back to normal also. 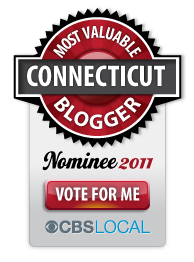 I’m so pleased to announce that I am a nominee for Connecticut Most Valuable Blogger! To vote for my blog, please click the badge above or click here. Thanks to all my readers for your support. I wouldn’t be inspired without you. You can vote once a day between now and September 9, 2011.